Toadstool is the sixth and final bear in our first mini-series of our Hatty collection. A very special bear to Charlie as the theme for the 2019 collection has been created around this little one. Toadstool has been created using a super soft plush in forest greens and morning misty whites. His tiny paw pads have been sculptured and a chestnut embroidery thread used on his handstitched nose. 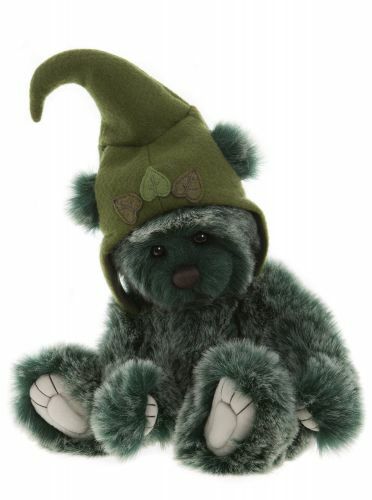 His pixie styled hat is made from a soft fabric and coloured in a variety of leaf greens. Toadstool is a numbered limited edition bear to 3000 pieces worldwide so will arrive with a certificate of authenticity.